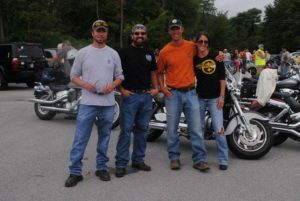 If you live in or near Altoona, PA, home to Blair Candy, chances are good you might be familiar with a group of heart-of-gold bikers that call themselves Burgi’s Low-Life Riders. Looking at their ‘About’ section on Facebook, we get a bit of a background on how they and all they do today came to be. Initially a bunch of people with a common interest, they would get together for group rides in the name of a good time. And while there is certainly nothing wrong with riding for riding’s sake, they decided to kick things up a notch and turn these group rides into charity rides. Initially their charity rides supported the Railroaders Memorial Museum of Altoona, an institution near and dear to many in our area. But after a few years they “decided to move their mission forward and help support children of central Pennsylvania stricken with serious or debilitating illnesses.” Yeah – they’re basically awesome people doing awesome things for awesome kids. And here at Blair Candy, we get a front-row seat to their rides thanks to our big parking lot! For the past several years Burgi’s Low-Life Riders have used our parking lot as the starting point for their charity rides. In getting a ride underway, they first find 2 kids in our area whose families could benefit from some help with medical expenses stemming from their treatment. Then, with the help of other caring members of the community, they set out to make their cause more visible by hitting the road riding. If you would like to be a part of Burgi’s Low-Life Riders next charity ride, please check out their Facebook for more information. And if you would like to donate but can’t attend the ride, please inquire on their Facebook as well for the best way to do so! We also hope you’ll check out the Blair Candy Facebook page for some photos from the last ride. It really is a wonderful thing they’re doing, and we’re happy to be a part of it. 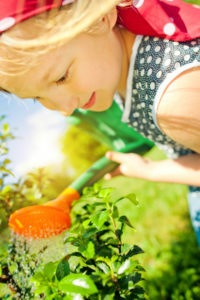 Earth Day is April 22nd, and we at BlairCandy.com want to do our part, and help you do yours, to give a little extra TLC to Mother Earth. It is easy to make some small changes to make a big impact! In the past, we used packing peanuts for securing our shipments. Now, we use packing material that is comprised of 60% recycled material for almost all of our shipments; gone is the styrofoam, because this new option is made from paper! BlairCandy.com recycles cardboard, too. Switch from styrofoam and plastic products to paper ones, such as eco-friendly hot dog boats and earth friendly French fry trays. It sounds simple, but to quote Woodsy The Owl, “Give a hoot; don’t pollute!” Habits start young, so be sure to teach children from early on that candy and gum wrappers go in the trash basket, not on the ground. Think about volunteering for a local “Adopt A Roadway” initiative with your family or workplace and help keep the shoulders of the roads clean and clear of debris or trash. It’s good publicity for an employer, and a great way for children and adults to get involved in the community around the home. Contact AdoptAHighway.net or your local city or town hall for information. Use biodegradable paper bags instead of plastic ones. 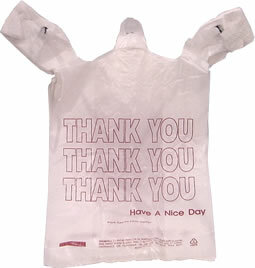 One plastic bag can literally take hundreds of years to break down, and may not ever fully decompose. With an estimated 100 billion plastic bags used every year, you can imagine what kind of problem we have on our hands. Buy in bulk – with bulk candy, of course! 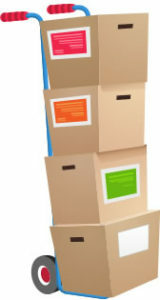 It saves on packing materials, and is lighter on your wallet, too, as the average cost per unit decreases when the quantity in the package increases. Also, don’t be wasteful. If you have leftover candy (think Easter, Halloween, etc.) or supplies (Little League snack stands, family picnics, etc.) that you can’t use, don’t trash them; donate to a local shelter instead. You would be surprised at how much the little things are appreciated by your fellow citizens, and by good old Mother Earth. BlairCandy.com is Celebrating Its 12th Birthday in 2012! Do you recognize that logo in the image above? You just might if you’ve been shopping with us since the beginning at BlairCandy.com! We took a little trip through the Wayback Machine at Archive.org to take a nostalgic peek at what BlairCandy.com looked like back when George W. Bush was taking his first crack at the whole President thing, Train was filling the radio airwaves with “Drops of Jupiter” and we were all getting comfortable with being among those that got the opportunity to live in a new millenium! Yes, the year was 2001, and BlairCandy.com was celebrating it’s first birthday. 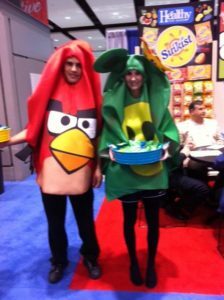 Needless to say, there were oh-so-stuffed goodie bags full of candy at the party! To celebrate our 12th year online, we’re having a virtual party, and you’re all invited! Keep an eye on the Blair Candy Twitter, Blair Candy Facebook and Blair Candy emails for more information on superior sales and fun contests. We may have sprouted a few more gray hairs around here since we opened our online doors in the year 2000, but we still know how to have a good time! Blair Candy Welcomes our Sweetest Addition Yet – Baby Maya! We’re accustomed to hearing the Baby Bottle Pop Rattlerz shaking their way into order boxes, but there’s a different kind of rattle making noise at Blair Candy these days – the real kind! Just a few days ago Candy Pam’s Little Princess made an appearance at Blair, and it was the most awwwdorable delivery we’ve ever seen! Baby Maya is the first member of the 5th generation of the Blair Candy family business, and we have a hunch she’ll be a natural. When she visited a few days ago at just a few days old, she showed more than a passing interest in the Lil’ Feet It’s a Girl Candy. 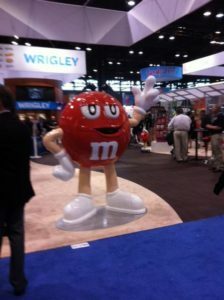 To the untrained eye, she may have appeared to just be staring at the box, but we know candy captivation when we see it! Grandma Pam couldn’t be more pleased with her little bundle of sugar and spice (drops) and everything nice – she really is perfect! She may be a little less than 2 weeks old, but the concensus shows that she is indeed the sweetest addition to our lineup in our 70+ years in business. She won’t be old enough to enjoy any candy for a while, but I did see her eyeing up the Nik L Nips with a twinkle of hope. She doesn’t have any teeth yet, which makes eating candy kinda tricky, but perhaps she could rock a pair of Wax Fangs and show those Bubble Gum Cigars who’s boss? Hmmm…maybe I should check with her parents first. Candy Pam Goes Back To Elementary School…Then Straight To College! Anyone who knows Blair Candy’s Pam is aware that she’s one smart cookie! But even we were surprised that she was able to climb the academic ladder from 4th grade to college in a week’s time. How did she do it exactly? What’s her late night infomercial secret for these kinds of instant results? It’s rather simple, actually…she drove! We can’t guarantee all the 9 and 10-year-olds of America can zip through 4th through 12th grade that quickly, but Pam wasn’t actually taking classes, she was visiting them. Her educational journey began at her friends’ 4th grade class, where she chatted with the children about the importance of math, spelling, and even manners. These are all key components to running a successful online store, no matter what you sell. In fact, spelling is even more important for eCommerce store owners than brick and mortar store owners as a misspelling could cost you valuable rankings. After all, a lot more people are looking for Candy Canes than candy cones! Pam also filled the students in on all the candy deliciousness that’s based in Pennsylvania – home to Blair Candy. It’s not every state that can boast being home to Hershey’s, the chocolate magicians behind Reese’s Peanut Butter Cups, Kit Kats, and a host of other tempting treats. 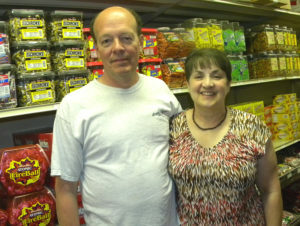 She also let them know about Boyer Candy, which is located just a 3-block walk from Blair! You may not be as familiar with Boyer’s name as Hershey’s, but you’re certainly no stranger to their ooey, gooey, oh-so-amazing Mallo Cups. Or Mmmmmallo cups as I like to call them! And Pennsylvania’s candy cred does not end there – we musn’t forget RM Palmer, and Just Born, just to name a few. After sharing her background in the candy business with the kids, reminding them that no matter what your aspirations in life may be, learning math, reading, writing, science and more is an absolute must, Pam shared something they might have considered even more exciting – candy! In keeping with her lesson plan, she offered up Dum Dums and Smarties, explaining that both are delicious, but it’s better to be a smartie than a dum dum! Her next trip found her at Elizabethtown College where she was one of several great speakers that day teaching students, faculty, and business owners about the ins and outs of eCommerce. Anyone who runs an eCommerce business knows there’s a lot more going on behind the scenes than meets the eye, from blogging to social media interaction to managing a PPC campaign. These are all key components of a good business plan, but it’s easy to get overwhelmed by it all, particularly if you’re growing your business from brick and mortar to online as well, or even replacing your brick and mortar business. A lot of the same rules apply, but it truly is a whole ‘nother ball game, and Pam was excited to share all she’s learned so others can start on a better playing field from the minute the gates open! As for the candy…well, she didn’t forget! It’s no secret that adults love candy too, and everyone was treated to a seasonal favorite, Reese’s Peanut Butter Trees. Thanks to Mrs. Z and Mrs. B, and your fantastic 4th grade class, for letting us bring a little Blair into the classroom. And thanks to Elizabethtown College for letting us be a part of your fantastic seminar! It started out with a spark of curiosity: How many licks does it take to reach the center of a Tootsie Pop? This simple question has been intriguing Tootsie Pop fans since the classic 1970 Tootsie Pop commercial aired. There’s never been a definitive answer, so two of our female BlairCandy team members decided that just didn’t cut it. 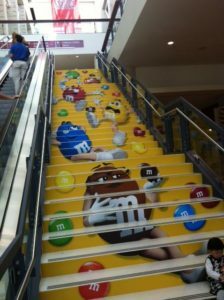 They wanted to find out how many licks it truly takes to reach that chocolately-delicious center. 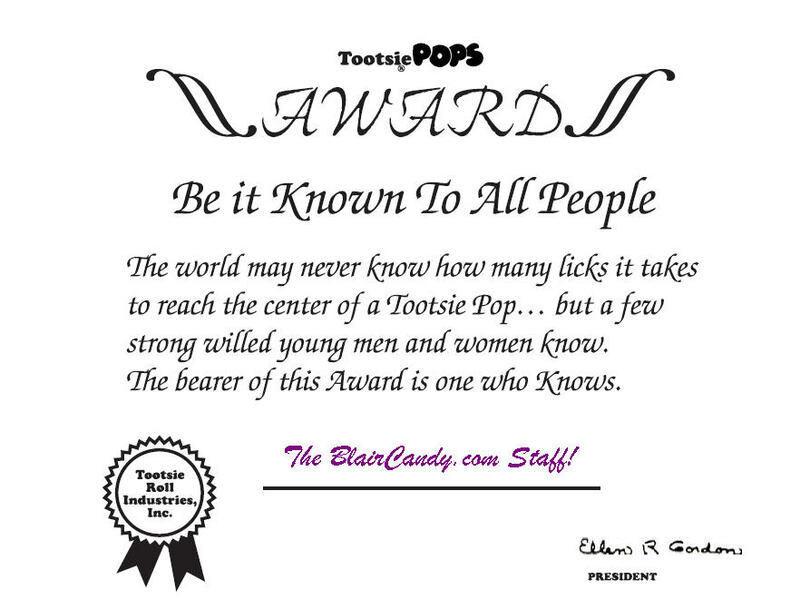 We then asked our Twitter.com/CandyPam, Twitter.com/BlairCandy, and BlairCandy Facebook Fans for their guesses on how many licks it would take, with the closest winner receiving a whole 100-ct box of Tootsie Pops! We received over 25 entries, and excitedly kept our social media followers and fans engaged throughout the day. Believe me; the BlairCandy offices were all abuzz for the festivities that would take place later that night. One of our male staff members decided to give it a go in the afternoon and see for himself how many licks it would take, but by the 20th lick, he bit right into the lollipop – instantly disqualified! Typical! It was up to our two tons-of-fun BlairCandy ladies to set the new standard on how many licks it would take til they reached that chocolate center. To keep it fair, as the size of each Tootsie Pop can vary, as well as the lick swipes you take, we decided to average their total amounts together. Next came deciding on the perfect flavor – Grape for one and Banana for the other! 211.5 Licks To Reach The Center Of A Tootsie Pop! Making our winner…Keith S., who guessed via Facebook that it would take 227.4 Licks! Congratulations Keith, and enjoy your prize of 100 Tootsie Pops! 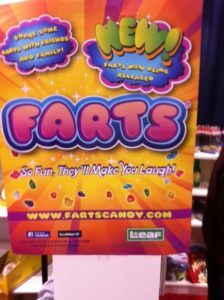 It was definitely an event we’ll all remember here at BlairCandy.com, and we’ll certainly keep that healthy dose of curiosity going! After all, don’t settle for what someone else says – find out yourself! So tell us, will you try the Tootsie Pop challenge? How many licks did it take you?